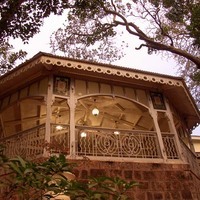 Some of the property types that Matheran has are resorts and heritage hotels. These properties are full of amenities. Common amenities you will find in these properties are Restaurant, Room service, and Coffe Shop. Top properties in Matheran are present in the famous localities of Main Market, Rambaug Point, and Near Monkey Point. It is easy to reach these properties as they are located around the popular landmarks like olympia, garbut point, and charlotte lake.